The business rates advice team at Vail Williams was instructed by a fashion house, in respect of its new showroom and offices on New Bond Street, London. 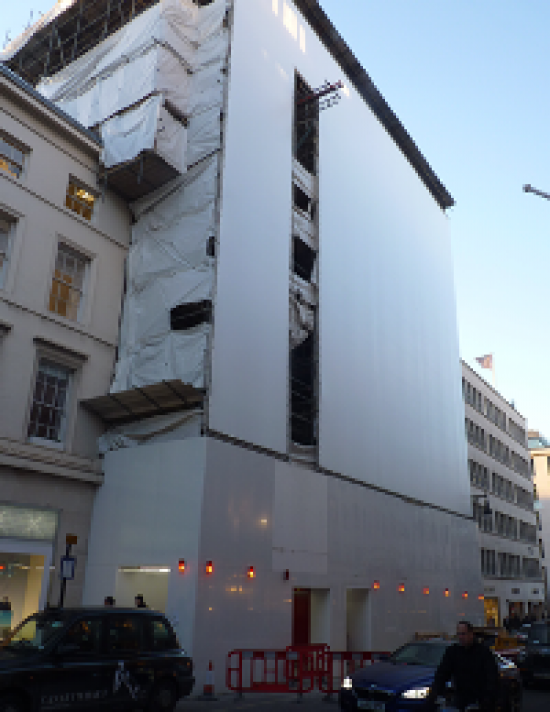 The client undertook a major redevelopment of the property, including the demolition and rebuilding of the façade, and a complete internal refurbishment over 6 floors. The works took place over an 18 month period. Vail Williams was instructed part way through this refurbishment to advise on the best course of action in order to reduce the business rates liability for the client. At the point of instruction in 2012, the refurbishment was already substantially underway, and it was necessary to prove a retrospective claim for rates relief. Within a very short period of time, Vail Williams had compiled a comprehensive dossier of the works, undertaken an inspection of the property with the Valuation Officer, and negotiated with them to reduce the rateable value to nil for the entire duration of the works. Vail Williams’ business rates consultants successfully negotiated and agreed thecorrect amount of rate liability with Westminster Council along with a refund of overpaid rates, which resulted in a saving of £2,000,000 for the client.